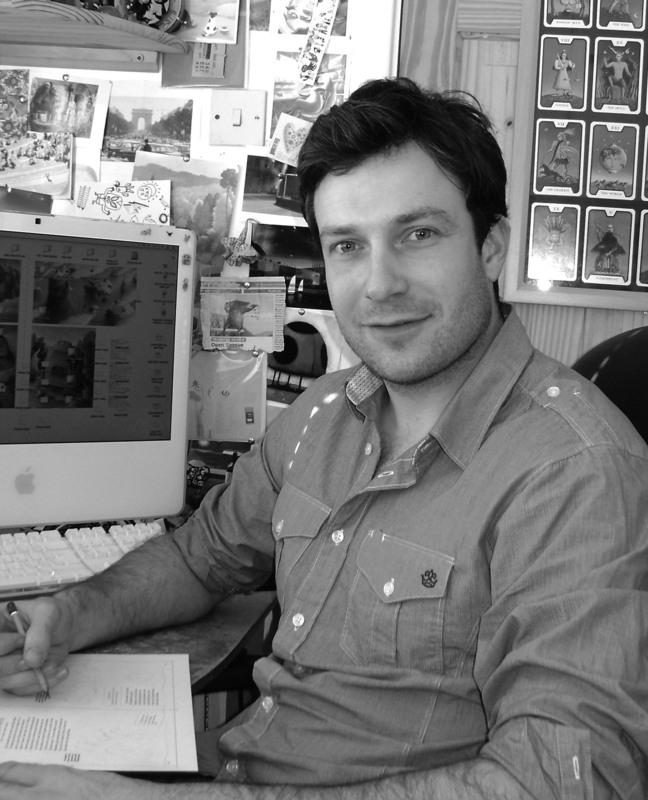 Richard has worked as illustrator since 1999 after graduating from Loughborough School of Art and Design. The heart of Richard's work resides in his children's illustration for which he has illustrated over 40 books. Richard's portfolio also contains work for advertising, packaging and editorial purposes. Clients include Templar publishing, Random House, MacMillan, Marks & Spencer, Cadburys, The BBC and The Times newspaper. Richard works from a small studio situated on the edge of a wood in Lincolnshire where he lives with his partner who is a design teacher and silversmith. 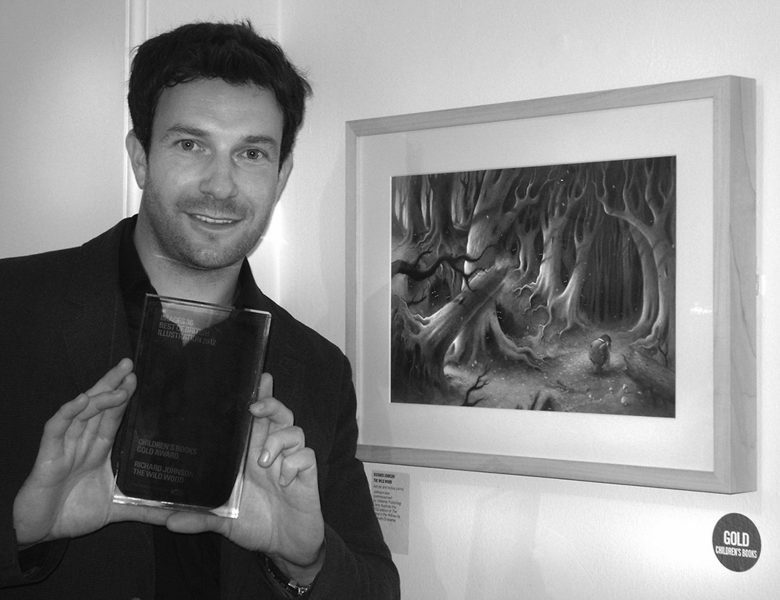 "Winning the Silver award was the turning point in my career that gave me the confidence to believe that I could become a successful illustrator. The exposure of winning the award definitely set me on my way." BRIEF: To illustrate The Three Billy Goats Gruff, a 24 page picture book. MATERIALS: Acrylic paint and heavy paper. RESEARCH: I was very interested in Japanese character art whilst I was working on this commission, particularly how villains are portrayed. This no doubt influenced my take on the troll. PROCESS: As a usual working process I tend to design my characters separately and then apply them to a scene. This involves developing thumbnail sketches into working drawings, which I then enlarge and colour in the finished piece. RESISTANCES: My biggest challenge was to try and keep the illustration bright and humorous, I wanted to give the Troll lots of character, to make him slightly scary but also a bit silly. I was very interested in using shape to form both character and composition. I wanted to create a scene that would allow me to communicate the story but also develop this character in detail. INSIGHT: This image belongs to a number of illustrations I created for my very first ever children's picture book. I was definitely feeling my way through the commission as a young illustrator, only a couple of years after graduating. DISTRACTIONS: My guitar, a puzzle that I can pick up, play badly and lose many an hour. NUMBERS: 3 flies buzzing around a smelly Troll. FINAL THOUGHTS: Twelve years later, looking back at this image, I can see the young illustrator that desperately wanted to make a success of himself. I think the image just about still holds up now, I am proud of this image which set me on my way.